People love seeing Bill Murray, even in the worst of films. He has a way of elevating trash by simply existing in his zen-like Murray space. That said, he phones it in from time to time. Admittedly, it can be hard to tell when Murray is phoning it in and when he's just being so Murray he transcends his own existence. His signature droll dissatisfaction, as exemplified in films like Rushmore and Lost in Translation, has led to a pervading sense that, from time to time, Murray would rather be in the bathtub or listening to records than getting paid to act. Is Bill Murray lazy acting, or does his character not care? Bill Murray giving up in movies isn’t new; as you’ll see his unfortunate habit bleeds into some of his iconic roles, and goes back almost 20 years, leading audiences to wonder whether Murray even wanted the role in the first place. Some of the worst Bill Murray scenes happen when he’s acting around people he really doesn't like. In Charlie's Angels: Full Throttle, for instance, Murray seems like he'd rather be choking on his own vomit than acting. As it turns out, he has a vendetta against McG, the film's director. When McG accused Murray of harming him on set, Murray denied it. Though Murray has a tendency to wear his spite on his sleeve in big studio productions, even small indie films, which he seems so fond of doing, have moments of total non-engagement by the actor. Keep reading to find out which movies Bill Murray totally checked out of, and if you can think of a particular scene where Murray phoned it in tell us in the comments. Attacked by the slime after obtaining a sample, Ray causes a city-wide blackout by accidentally kicking a cast iron pipe that breaks, falls, and shorts out an electric cable. After this, the Ghostbusters are arrested by the NYPD. Ineffectually defended by Louis Tully, they are found guilty of violating the restraining order by Judge Wexler, aka "The Hammer." Before they are taken to Riker's Island, Wexler angrily berates them. In response, the slime recovered by Ray and taken as evidence explodes, releasing the ghosts of two [criminals] that the judge had condemned...that proceed to devastate the courtroom. The Ghostbusters capture the ghosts in return for the cancelation of the restraining order. To Murray's credit, he seems to have zero interest in the swill that passes for dialogue in Space Jam, to the point that you have wonder whether he first saw the script five minutes before the director called action on this scene. Or maybe Bill was so star struck by Michael Jordan and Larry Bird he couldn't do his job. Charlie's Angels: Full Throttle was an act of pure pain for everyone involved: the audience, the angels, and especially Mr. Murray. Think of it as Apocalypse Now, if it were a piece of throwaway garbage rather than a towering work of art. The set was allegedly rife with drama, most of it centering on Murray and costar Lucy Liu (although Murray has since claimed these reports were exaggerated). Whatever the case may be, it's strange that, on a set that full of tension, the final product is emotionless. 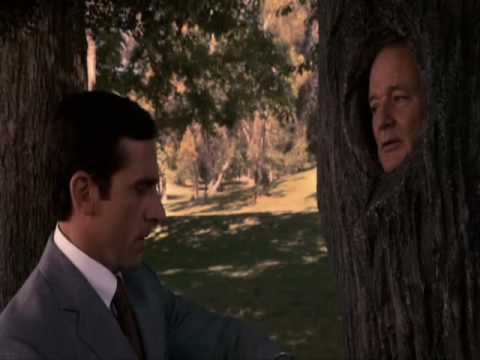 How Much Money Was Bill Murray Offered To Get In A Tree for 'Get Smart'? Bill Murray is a good friend. He shows up and gives his all, without fail, for every Wes Anderson film. Ditto for Monuments Men, a mediocre film directed by and starring people Murray has known for years. Remember Rock the Kasbah? It was written by Mitch Glazer, who also wrote Scrooged and Passion Play, which both starred Murray. 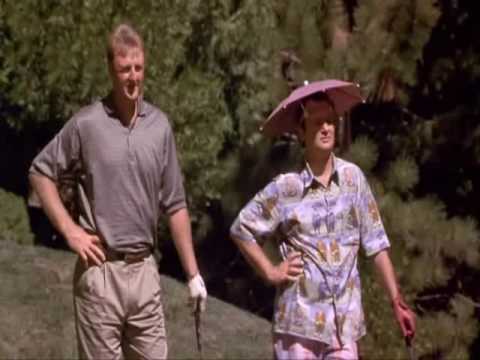 They're buddies, Mitch and Murray are. So, given that history, chances are Murray agreed to make a cameo in the Get Smart remake because he knew someone involved, or because they paid him so much money it was impossible to say no. Which begs the question, did he know he'd be stuck in that tree for hours while filming a moronic scene in which he begs Steve Carell to spend some time with him because he's lonely in the tree?